The only disappointing part of reading this book is finishing it, because now I’ve read the series and there are no others (currently). Former FBI agent and modern PI, Dakota Stevens brings his partner, the beautiful and brilliant Svetlana Krüsh, into a case that starts as a ‘simple’ art scam and becomes a problem of international proportions that challenge homeland security! Along the way, Dakota will fall desperately and madly in love with a beautiful young artist who previously worked painting forgeries. While Dakota uncovers and works to solve a decades-old series of crimes and avoids the threats to his own life, can he keep his beautiful partner and his new love safe? This is the first book in the Dakota Stevens trilogy of mystery novels. Because I read them in reverse order (a long story not worth writing about here) I knew how at least one aspect of the story would turn out, but it did not diminish my enjoyment of the book in the slightest. Dakota Stevens is a smart, tough, but very human detective. Too many detective stories that I’ve read have the protagonist almost superhuman in either their detective (smarts) work or in their ability to take a beating (or a shooting) and keep plowing forward to fight the villain. Stevens feels like a regular guy who stumbles, is supported by his associated, and pushes himself realistically, even during the toughest moments. The story here is truly engrossing. It helps, for me anyway, that I’ve been completely fascinated (in a horrified way) by the crime of art theft, and Orcutt delivers a story about just that and drops it, like a mad, wet cat, on my lap. Dakota Stevens is that sort of character that you want to be friends with because he’s the sort of character that you would never just go in a bar and have a drink – you would go in a bar, have a drink, and an experience. But of course Stevens is an imaginary character so you can only do the next best thing … read his stories. Looking for a good book? 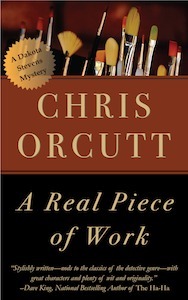 A Real Piece of Work is the first book in the Dakota Stevens Mystery series by Chris Orcutt and most definitely worth reading! 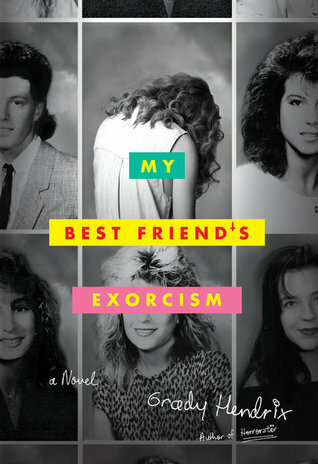 I received a copy of this book from the publicist in exchange for an honest review. Soleri is an epic fantasy that captures a touch of ancient Egyptian mythology and mixes it with the high drama of a Shakespearean tragedy by Michael Johnston. One family has ruled the Soleri Empire for longer than the calendars have been recording the history – nearly 3,000 years. No one has seen this family, described as descended from the gods, but their power over the four kingdoms of the empire is iron tight. Each year there is an eclipse and the kingdoms are meant to pay tribute and honor their god-like leaders, but this particular year, Arko Hark-Wadi – king of Harkana – does what he wants to do, which is go on a hunt. There is strife in his family as his daughters look to buck the long-standing traditions and marry the men they want to marry, and Arko Hark-Wadi’s son Ren is held prisoner in the capital city. Elsewhere, Sarra Amunet, he Mother Priestess of one of the gods’ religions, holds some secrets that could destroy not only her family, but end the long reign of the empire if she’s strong enough to reveal them. There is a LOT here in this book. 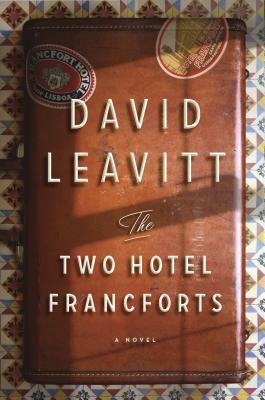 368 pages feels like twice that, given the intricacies of the relationships and the world. There were moments when I was completely engrossed in the characters and the developing story – particularly the beginning and the end (which is great since it captures our attention and it sends us off on a strong note) – but there were just as many times (throughout the middle) when I felt the story was repetitive and monotonous – making the 300+ plus number of pages feel twice as long, but not in a good way. The opening chapters really had me hooked on Ren’s story and anytime we weren’t with him I really just wanted to get back to finding out what he was doing – which just wasn’t enough! While I wasn’t overly thrilled with my reading of this book, I believe that there’s much more in here that I missed and this is one of the rare books that I will make sure to read again in hopes that I can pick up more of the intricacies of the story. Looking for a good book? 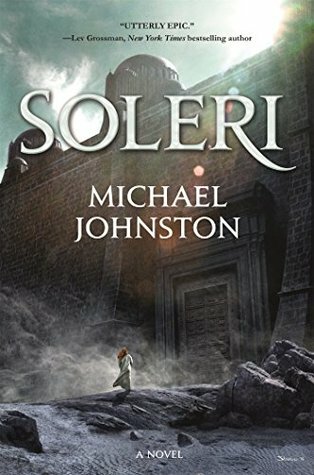 Soleri by Michael Johnston is an epic fantasy, dense with character and story development that often feels much longer than it really is. Next up from the fabulous Philippa Dowding is the next book in her Weird Stories Gone Wrong series. This is not a sequential series in which you must read each book in order, but instead this is a series in which you can always expect to be entertained and spooked out just a little bit. In my last review of a Weird Stories Gone Wrong title I reckoned it to a modern “Goosebumps” series. But better. The Blackwell children like sailing. Emma has always liked mermaids, and her twin, Jonah, has always liked pirates, and their brother William has always been a good captain – or he’s tried to be, when his siblings will stop fighting long enough to listen to him. When they become adrift in a windless fog and run aground on a strange island, their simple sailing day because a terrifying nightmare! Soon they will face off against pirate zombies and mermaids that aren’t so sweet and pretty, and even cursed ship figureheads will join in the fray. Once again author Dowding has managed to write a story that is both spooky and yet readable at an early level. This is a book for young readers and it will easily capture their attention (what elementary student isn’t interested in pirates and mermaids?! ), get them excited by the danger, and satisfy with ending. Dowding understands her audience and writes masterfully for them. She doesn’t write down or simplify unnecessarily but manages to challenge her audience by providing an exciting, engaging story that makes them want to work just enough to grow as readers. It is precisely what good fiction for this aged reader is supposed to do. The illustrations by Shawna Daigle are perfectly suited for the story and the reader. Looking for a good book? 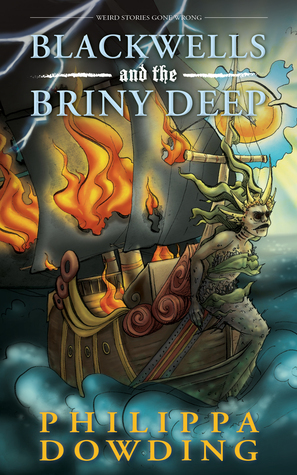 If your young reader likes mermaids, pirates, zombies, or any host of spooky sea creatures but you want to provide a safe reading environment, then Blackwells and the Briny Deep by Philippa Dowding is definitely the book you want to provide. And if you or your young reader just like a rollicking good adventure with a little bit of eerie thrown in, you won’t go wrong here. I’ve been quite a fan of the Paper Magician series by Charlie N. Holmberg. I’ve recommended the series to many people and every one has come back to tell me how much they’ve enjoyed it. Now Holmberg is keeping the series alive with what is part sequel and part spin-off. There’s still plenty of magic afoot and we’re still following an apprentice, but instead of the erstwhile Ceony, we are now following American, Alvie, as she arrives in England to apprentice with a master plastics magician. It’s quite a new adventure of Alvie, learning new customs as well as trying to grow in her chosen magic art. Fortunately she is apprenticed to a magician who is as dedicated as she is to improving and finding ways to accomplish her goals. This magician, Marion Praff, couldn’t be more charming and welcoming to Alvie (and fortunately he’s married! ), but not everyone is enthralled by Praff and his continued showings of new magic at the annual conference, which is not too far away. Alvie is an inventor at heart and when she presents an idea to Praff, and he encourages her and takes it on in order to help develop it for the next conference, Alvie is thrilled. But a number of magicians in the area are reporting burglaries and Alvie worries that her and Praff’s remarkable invention – which should revolutionize Polymaking – is at risk. She has no idea just how much at risk her invention – and her life – really is! I did feel that things went a little too smoothly for lucky Alvie. She doesn’t seem to have to work too hard for her glory. Even when things go terribly wrong, she manages to get away and run into good people who trust and believe her immediately. Though the climax scenes during her trouble is well written and quite exciting. It will be interesting to see what Holmberg comes up with next for the series, and I will continue to count myself as a fan, though this book didn’t quite live up to the excitement and thrill of the first series. Looking for a good book? 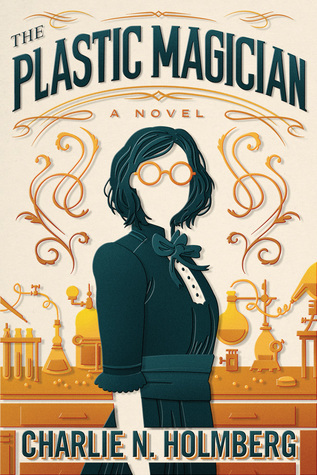 The Plastic Magician by Charlie N. Holmberg, is a follow-up/spin-off to the Paper Magician series and while it doesn’t have quite the excitement, it is still an enjoyable story. Depth of Winter is the fourteenth book in the Walt Longmire series. I haven’t read all the books in the series yet, though I am working on it. Why? Because they are entertaining. Generally a quick read, with appropriate machismo and suspense. This one fits well alongside the others in the series quite well. Sheriff Walt Longmire’s daughter, Cady, has been kidnapped by one of the most ruthless drug cartels in Mexico. What they want is Walt, and he’s prepared to give himself to them in order to save Cady. But the U.S. government is in some tricky negotiations with the Mexican government and Walt isn’t authorized to cross the border. In fact, the local lawmen do everything they can to stop him. But Walt Longmire is committed to facing the drug cartel on their own ground as long as it will bring his daughter to safety. The cartel’s plan has been to bring together some of the most ruthless, despicable men who’ve ever crossed paths with Longmire (and there have been a few) and let them bid on Cady and Walt. Winning bidder gets to do as he pleases (and we see a man auctioned off and then shot point-blank in the head just prior to Cady’s auction). But Walt is a clever man, with friends and resources wherever he goes, but following him and learning of his resources along the way is a great part of the fun of reading a Longmire book. What surprised me with this book is his almost superhero-ness. The amount of beatings/shootings he takes and keeps coming at the bad guys is overwhelming. Having only read a few Longmire novels, I was also a little surprised at how often Cady needs Walt’s oversight. This is perhaps unfair since I haven’t read all fourteen novels and possibly I’ve read the two main books that have Cady at the center. But all-in-all, it is a good read. A ‘beach read’ perhaps. It’s not the sort of book that will sit with you long after you’ve read it, but it will be engrossing and heart-racing while you’re in it. The Longmire books are a nice combination of modern western romance and mystery, featuring one tough sheriff. Looking for a good book? 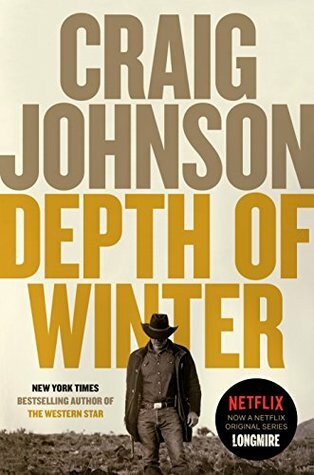 The fourteenth book in the Walt Longmire series, Depth of Winter, by Craig Johnson, is a powerhouse of action from start to finish, with Walt’s and Cady’s lives on the line.